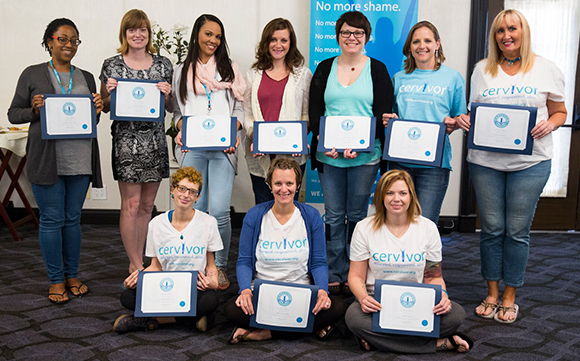 To us, becoming a Cervivor is a very special accomplishment. 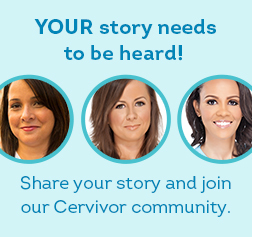 It means that you have made the decision to share your story and use your voice and your network to help others and support the cervical cancer prevention movement. 1. 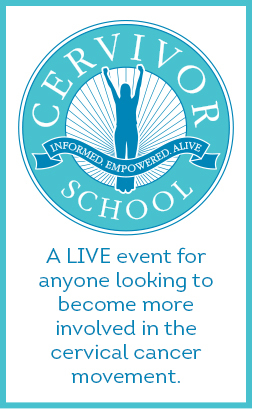 Attend one of our Cervivor Schools. We have schools every few months in different areas of the country. 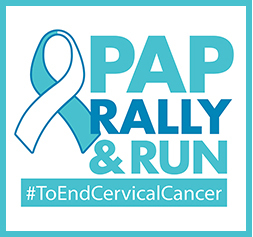 These schools will teach you important facts about HPV and cervical cancer prevention, diagnosis, and treatment; provide you with essential knowledge for living your life after cancer; discuss effective ways to share your story; explain how to communicate with the media; and provide you with the opportunity to form lifelong bonds with other cervical cancer survivors. We share our story and speak on behalf of Cervivor at various events, health fairs, legislative hearings, and community functions. We let others know about how they can get involved in Cervivor by sharing news on social media and forming community partnerships. 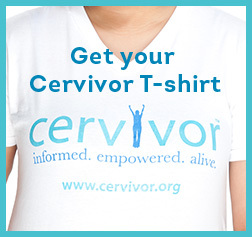 We provide support for other cervical cancer survivors in our neighborhood. 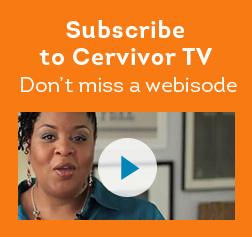 We spread the message of HPV and cervical cancer prevention throughout our networks.  We help to debunk myths, eliminate stigma, clear up misinformation, provide facts and evidence to back up our information, and work to educate others about HPV vaccines, screening and treatment. 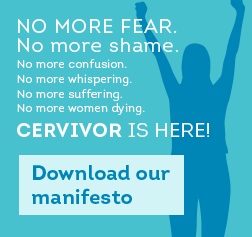 We work together to make Cervivor a warm and welcoming place for people to find comfort and support and to help others know that they are never alone. If you are interested in become a Cervivor, please consider signing up for our next Cervivor School! We would LOVE to see you there.